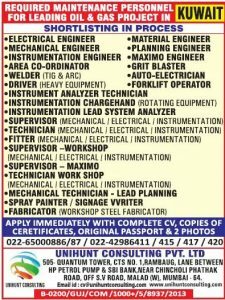 JOBS IN KUWAIT CV SELECTION. Experience 8 years in India. I am Satheesh. I have 10 yrs experience in HVAC field. I looking for job HVAC TECHNICIAN for gulf. Am Arun I have 5 years of experience as accountant please let me know if any vacancy is available.